I received this email today from a friend and fellow vaccine advocate. Her name is Frankie Milley and her personal story has inspired her public mission for many years. I share it with everyone today in honor of her, her son Ryan and all the families that have been touched by a vaccine preventable disease. Today is a bitter sweet day. I am speaking before a group of people in California, attending influenza vaccination kick off and working on a documentary with some very cool people about the importance of preventing disease through vaccinations. Today on what would have been Ryan’s 33rd birthday through tears, smiles, gratitude and humility, I share the attached which is being read into the US Congressional record today. Mr. Speaker, I rise today to remember Ryan Milley, a young man from Conroe, Texas who was born on September 20, 1979. 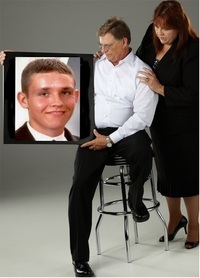 In 1998, 18-year old Ryan lost his life to meningococcal meningitis. As a result of Ryan’s death his family founded Meningitis Angels, a national nonprofit organization that educates the public, health professionals, child care facilities, schools and universities on not only meningitis but other vaccine preventable diseases though personal stories, educational brochures, posters and videos. Meningitis Angels is dedicated to the support of victims of bacterial meningitis and their families. While helping families cope with the loss or care of a family member they also offer some hands on support for those children affected with bacterial meningitis. Sadly, Meningitis Angels continues to grow. Meningitis Angels currently represents over 600 families across the U.S. and abroad. Mr. Speaker, I cannot do justice to these families without speaking about this terrible and preventable disease. Bacterial meningitis is an infection of the meninges, the thin lining that surrounds the brain and spinal cord. It is a deadly, debilitating disease that especially affects infants, children, teenagers, young adults, and those with compromised immune systems. People who have bacterial meningitis may have long-term complications and disabilities like permanent brain damage and long-term physical problems such as heart, kidney, or intestinal problems or could require amputations of the arms, legs and facial features. Infants and teens are highest risk for this disease. The most effective way to protect your child against bacterial meningitis is to complete the recommended vaccine schedule. In many states, these vaccines are required for children in school and daycare. The families of Meningitis Angels can tell you that these requirements are not frivolous or busy work. So on their behalf, I ask that American families get vaccinated to prevent more tragedies. I have offered H. Res. 403 to honor Ryan Wayne Milley, his remarkable mom Frankie, and all Meningitis Angels across the United States. Today is appropriate day to remember Ryan and to support efforts to end the disease that took his life. I ‘ve had the pleasure of knowing Frankie for several years now. However, just today I discovered this video in which she provides the details of Ryan’s death. It is an extremely difficult story to hear. I can’t even imagine what it must have been like to experience. Frankie works hard in hopes that parents everywhere will do what they can to protect their children from vaccine preventable diseases. Visit the Meningitis Angels website so you can get the facts, know the symptoms and hear the stories about meningitis. Then take action and ensure your child is vaccinated. The video from Ryan’s mother is heartbreaking.The tears came when she described the last conversation between Ryan and his father… I hope the family takes courage and solace that his death is not in vain and that his story will and can prevent other tragedies. Personally the scariest part of meningitis is how fast it can take a life from the onset of the first symptoms. 12 hours is all it took before Frankie’s son passed away. It’s stories such as his that remind us how lucky we are to have a vaccine that can prevent and reduce our chances of contracting this deadly disease. My own Ryan is two years old, and you can bet your bottom dollar that he’ll always be vaccinated and up to date. I hope and pray that through science advancements and parent’s vaccinating their children that the families of Meningitis Angels won’t have to welcome new members to their organization. My younger sister contracted meningitis when she was a year old. She was a very healthy, chubby baby and was just learning how to walk. She nearly died in the hospital. She was in the hospital for 6 months and wasted away to about half the weight she was when she went in and so weak when she came out she couldn’t even crawl. She survived, but has permanent hearing loss in her right ear, which to this day affects her balance and equilibrium and she is prone to running into walls and falling down. An MRI she had when she was an adult and went into the ER with seizures shows a small spot in her brain that is dead. That is the result of the meningitis she suffered through. My mom was anti-vaccine so none of us were vaccinated growing up. My sister was one of the lucky ones, it could have been so much worse for her and even with the near death of my sister from a vaccine preventable disease, my mother still refused to see that the diseases that vaccines prevent are more dangerous and deadly then any vaccine could even hope to be. I’m the mother of six children all of whom are fully vaccinated. I take comfort in knowing Ryan’s fate, nor my sister’s fate, won’t happen to them. Thank you, Frankie, for your strength and courage in the face of such a terrible loss that you are able to take a stand and advocate for these life saving vaccines. The old adage is true; an ounce of prevention is worth more then a pound of cure, particularly when that cure may not happen. My eyes welled up with tears, as well. My son died eight years ago, not because of meningitis but because his long struggle to survive a multiple of medical problems, was over. He survived well beyond the lifespan that was predicted for him by his doctors. Different child, different circumstances but the emptiness in your life when your child dies, never leaves you. Frankie, thank you for all of your advocacy, so that other parents don’t lose their children to a vaccine-preventable disease. Ryan lives on in the hearts of those who loved him and in the hearts of the people who have been touched by your advocacy. I chose to work in the field of children with disabilities and their families and I knew this meant that I would work with children that are terminally ill with conditions such as Duchennes. I have learnt to accept the inevitability of that. I will not accept as inevitable that children will continue to die of VPD when we have a safe and effective alternative. Thank you Frankie for fighting for other people’s children as strongly as you fought for yours. I am my brother’s keeper……if I don’t care enough to take the smallest precautions to protect the general welfare and the health of the others, then by my selfishness, I should expect nothing from anyone else. Treat others as you would want to be treated – by protecting yourself, you are also protecting others. By protecting your children, you are also protecting your neighbor’s children – society is a trust, a trust that we have been given and that we will turn and give to our children (and so on) – leave this world a little better than you found it, help eliminate these diseases through vaccination, so in the future, we can have less vaccines (because those diseases will be gone). That was very poignant, Lawrence.